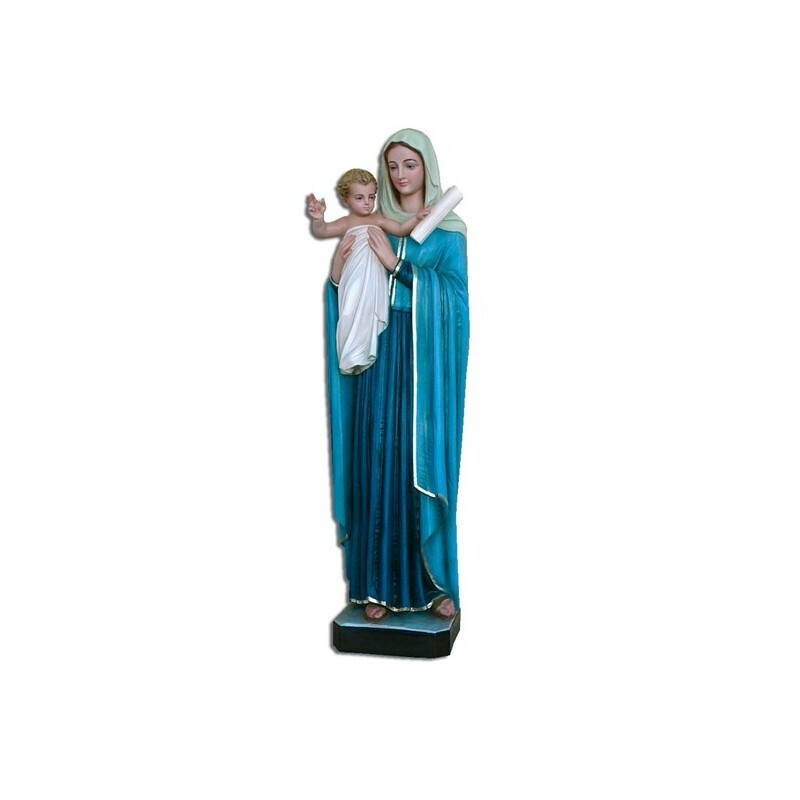 Statue of theVirgin Queen of the Apostles 80 cm. 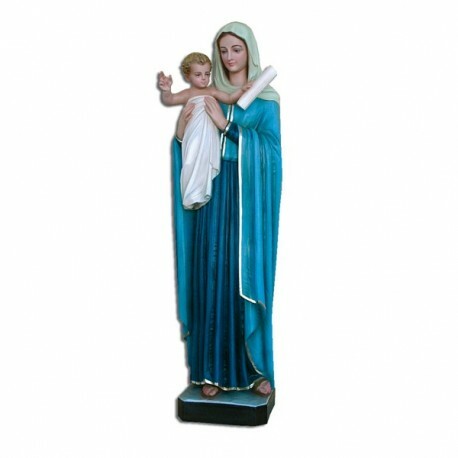 Statue of the Virgin Queen of the Apostles, of fiberglass, 80 cm, handmade in Italy. The image of the Virgin Queen of the Apostles is placed in the Cathedral Shrine in Montagnola. It is managed from the Saint Paul Society in the Ostiense area. She is illustrated with the Baby in her arms and blue and light blue clothes.